If you have a massive pile of trash in your property, it is imperative to consider the easiest and cheapest way to throw it away. With the contemporary financial intricacies, you can’t afford to direct large amounts of money to waste removal tasks. You have other better things to do with your money. The best thing to do when you are faced with a serious garbage collection problem is to hire professional waste removal services. Fortunately, you can now hire quality skips from Easy Go Skips- the leading skip hire and waste removal company in the UK. Since we have been in the waste removal industry for a long time, we have the required experience to handle your project. The many years of working experience have enabled us to learn different client preferences with regard to the most effective skips. 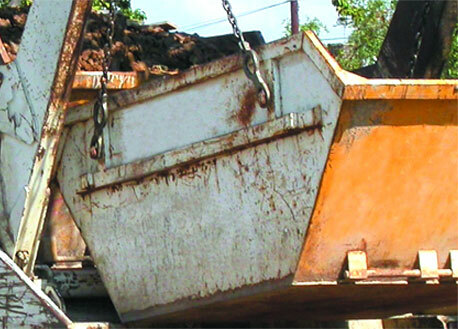 That is why we have put together a wide array of skips to ensure each client gets the kind of skip they require. We will also estimate your task and advise you on the kind of skip to hire. At times, it is easy to waste your money hiring a skip larger than the amount of trash you want to dispose of. That is why we advise you to check with our waste removal specialists before you place your order. We will help you to pick the right skip for your junk. Unlike other skip hire companies in SE19 Upper Norwood, we endeavor to offer our clients quality skip hire services at a pocket-friendly price. We will also give you a chance to cut down on the cost of your assignment by allowing you to apply for an online quote. You only need to provide us with the correct details of your task. We will prepare an inclusive quote for you.